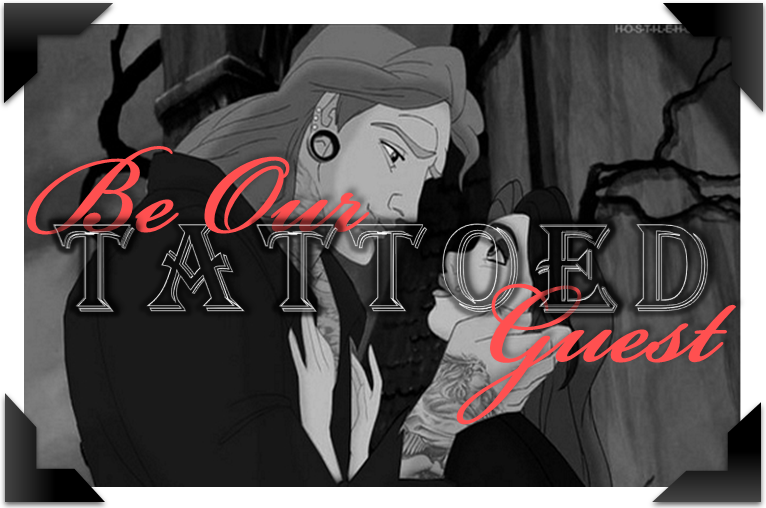 We have two tattoos today, and they're totally bookish! Artist: Carlos Vanst @ The Dutchman Tattoos in New Westminster BC, Canada. Design: Small book, plus a quote that says "Books Fall Open, You Fall In." Story: Books have always been a huge part of my life for as long as I can remember. My boyfriend has this poster in his room and I absolutely fell in love with the saying. It just completely embodied everything I felt about books. I had to have it as a tattoo, and it was very impulsive but it's easily one of my favourite tattoos I have! 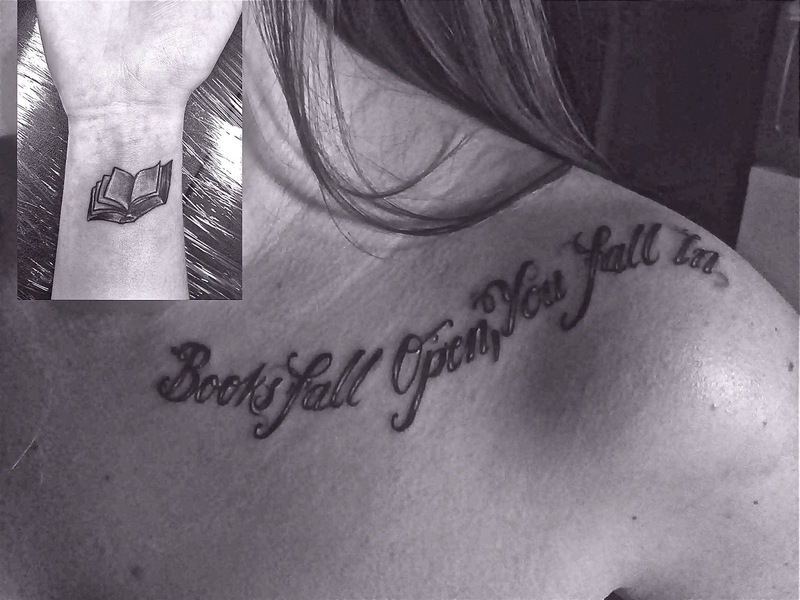 I have the book on my right inside wrist and the quote goes up my collarbone and onto my shoulder! Thanks for sharing your tattoo and being our tattooed guest, Alyssa!